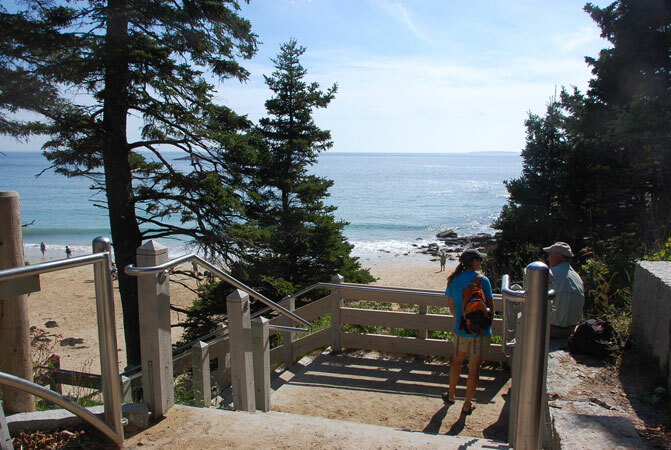 Sand Beach Steps Coplon Associates provided planning, design and construction administration services for the replacement of the stairway to Sand Beach, one of Acadia National Park's most popular destinations. 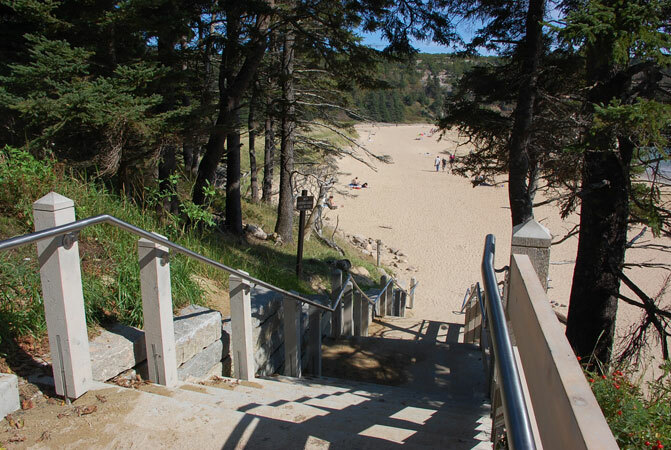 The existing stairs consisted of a series of granite treads of uneven riser heights and tread depths set within a grove of mature spruce. 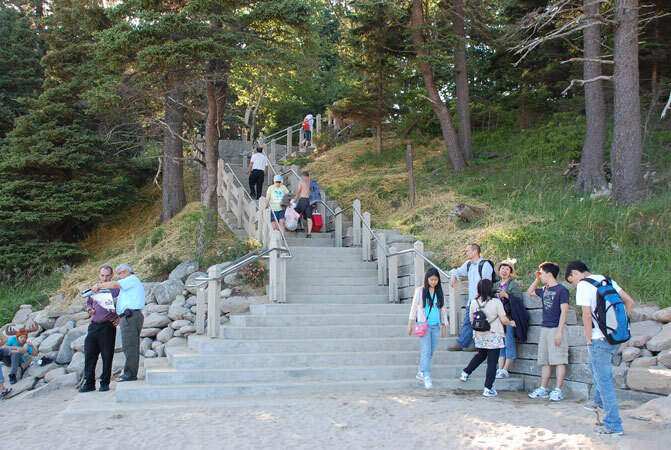 The irregularity of the stairs n the seasonal movement of sand at the base created an unsafe condition for many visitors. 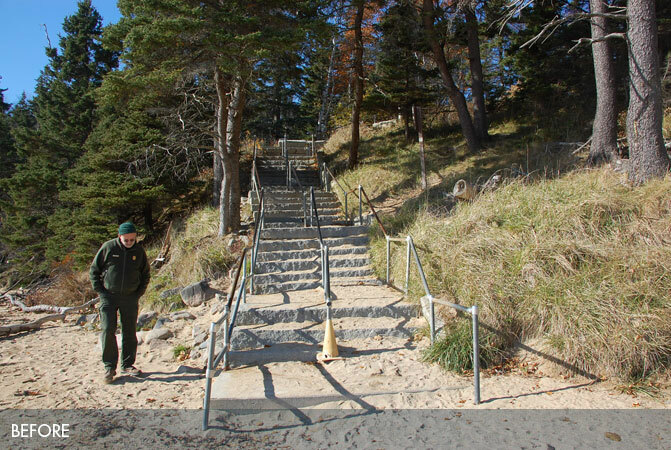 The design solution replaced the granite treads with a concrete stairway of consistent dimension within the existing alignment to preserve the adjoining vegetation. 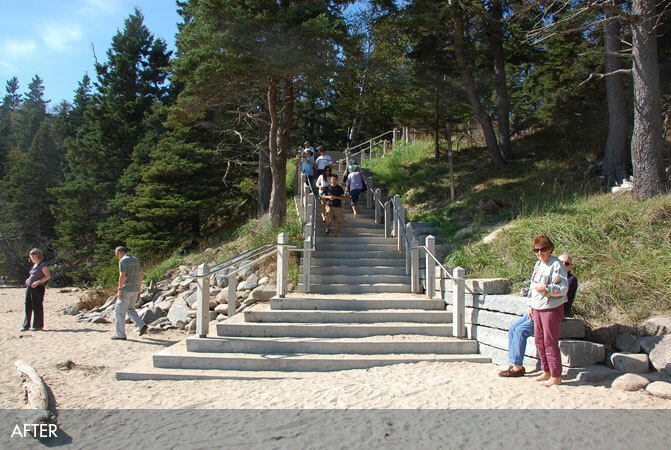 The granite treads were used as a retaining edge to stabilize an eroding slope adjacent to the stairway. The stair widens at the bottom to provide greater opportunities for viewing, gathering and access. 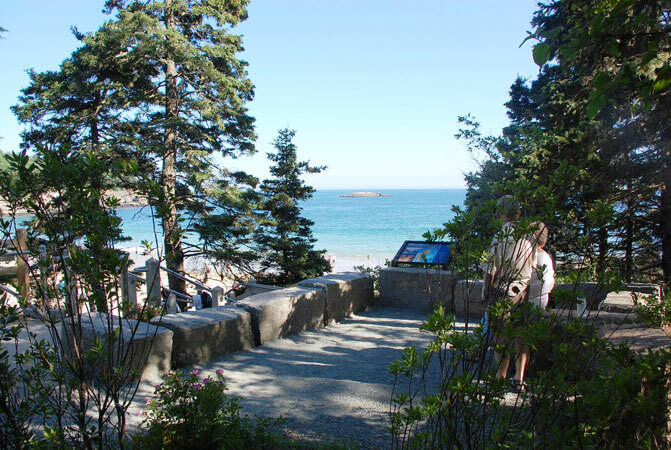 The design included rehabilitation of the upper viewing plaza and connections to the bath house and parking lot.